Are you ready to surrender to the hottest cops in the country? A video posted by Facebook page PRO1 Lady Cops has been trending on social media recently. 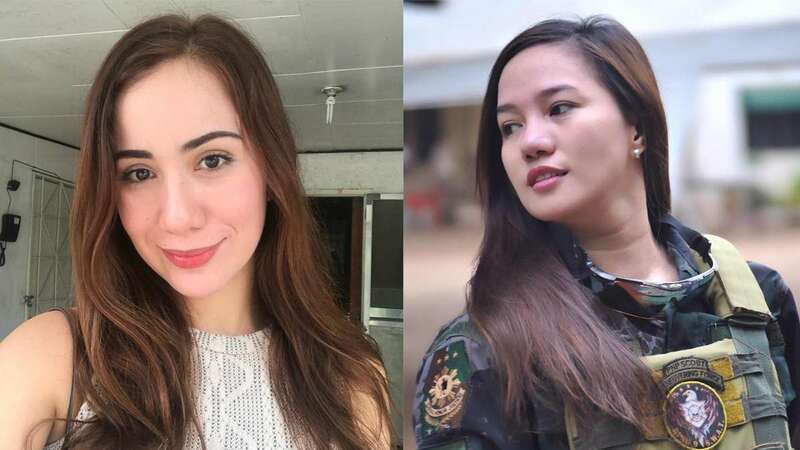 The viral post features photos of five of the prettiest, most badass Pinay policewomen, according to netizens: P02 Ney-Ney Macaranas, P01 Marriel Tajonera, P01 Jane Kalakayan, P01 Jeanne Cayabyab, and PS1 Sofia Loren Deliu. It has over 180K views as of writing. We tried reaching out to these ladies, but they have yet to answer our messages (we'll update y'all soon enough). We know how busy these women are, and we can’t help but get excited to learn more about their amazing careers as law enforcers. In the meantime, here’s what we found out about these feisty public servants. Ney, also known as Yen, is from the beautiful city of Dipolog, Zamboanga del Norte. Aside from chasing bad guys, Yen also loves watching basketball during her free time. She’s one big Ginebra fan, ka-barangay! Marriel graduated with a degree in Criminology at the Laguna State Polytechnic University. The 22-year-old baby-faced policewoman is a self-proclaimed “half-ninja.” Now, we can’t wait to see her on duty! Jane’s already popular with the netizens, having over 50,000 followers on her personal Facebook account. Hailing from Pangasinan, Jeanne loves to post selfies and videos while off duty. Better follow her on her Facebook page so you won’t miss any updates! Before being the hottest cop, Sofia first joined the Miss Earth Philippines 2015 pageant, where she made it to the Top 15. Currently, she’s part of President Duterte’s security detail.